The children have the opportunity to participate in a wide range of extra-curricular ‘clubs’ at Yattendon. These mainly operate as after-school sessions, usually finishing at 4.15pm or 4:30pm, although some activities also take place during the school day. There is no charge for these clubs. We also facilitate a number of activities, e.g., Karate, Chess, Spanish, French, Cheerleading and Dance led by outside providers who do make a small charge. These activities will be advertised separately as spaces occur. 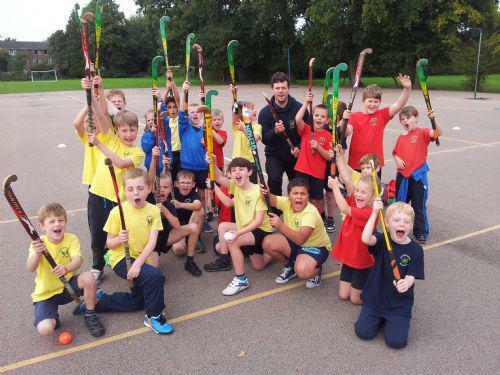 The range of clubs that have operated during this academic year included: Cricket, Dance, Drama, Hockey, Home Learning Club, Rounders, Netball, Football, Rugby, Dodgeball, Cross Country, Cookery, Pop Choir, Tennis, Ukelele, Newspaper Club, and Gardening. There is no charge for most of these activities - members of staff run the clubs on a voluntary basis. As you will appreciate, there are times when club activities have to be cancelled at short notice - some are obviously dependent on the weather and there is the possibility of staff absence caused by illness. There is a Clubs hotline – telephone (01293) 734101 after 2:00pm where an answer-phone message will give current information about the clubs that day. If the clubs hotline is engaged, please try again rather than ring the main school number. The hotline will have up to date information, which staff answering the mainschool number may not know. Sometimes we are able to cater for club members, despite inclement weather, by using instructional videos etc., so please do check the hotline. If there is any sudden change in the weather after this time we ask you to revert to the usual arrangement you have made with your child in wet weather situations. We therefore ask parents to make sure that their child is aware of what to do should the club be cancelled unexpectedly - i.e., to make their own way home, to wait to be collected, or to ask to phone home for example. Parents should note that outdoor clubs may be cancelled in bad weather and arrangements in this event should be clarified in advance with your child and not be reliant on telephone calls. Peripatetic music lessons can be provided in a number of instruments. Details of these will be available in September for pupils entering the school at this time. At other times in the year, please enquire with the school office. Lessons take place throughout the school day. Mr Sam Stewart is the School Clubs Leader and oversees the provision and organisation of staff-run and externally-run school clubs.